There’s “a lot of similar stuff” in the two games. We cherry-pick the PSN’s best offers. Ask PSLS: Who is Your Favorite Companion in Video Games? Enslaved: Odyssey to the West Premium Edition confirmed, coming this month. Ask PSLS: Which Video Game, That Never Got a Sequel, Would You Like to See a Sequel to? A fresh batch of screens showing off some of Pigsy’s new toys. Use our Enslaved: Odyssey to the West trophy guide to capture that elusive platinum trophy. The secondary porcine protagonist Pigsy will playable in the upcoming downloadable content for this month’s fresh title Enslaved: Odyssey to the West. But along with an entirely new side-story, it’s going to bring a technical update too. With Enslaved: Odyssey to the West coming out this week and the announcement of DmC back at the Tokyo Game Show, developer Ninja Theory wouldn’t be opposed to working on a sequel at the same time as their reboot. Is it just me or has Ninja Theory became one of the most talked about game developers around since 2007? After working on one of the PS3’s earliest AAA ‘trojan horse’, Heavenly Sword, the Cambridge, England based team always have their name in the headlines. From saying that they didn’t make a dime off of Heavenly Sword to re-designing Capcom’s Dante into..uh, whatever he is, gamers far and wide know of Ninja Theory. Their lastest IP, Enslaved: Odyssey to the West is oozing with potential and the team knows it. That’s why they pitched the idea for a CG movie to all of the major film companies, but we won’t be seeing one anytime soon. We here at PlayStation LifeStyle have done our best to cover Ninja Theory’s next big game, Enslaved: Odyssey to the West. From two different hands-on impressions pieces to developer diaries to the latest pre-order deals for the title, It’s say to we’ve done our job telling you about the game. Now..it’s your turn to give the game a chance and let us know what you think about it! 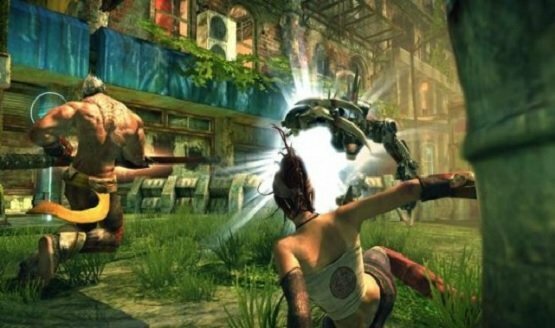 Ninja Theory’s third console offering, Enslaved: Odyssey to the West, has been compared to a mix of the Uncharted series with a dash of Heavenly Sword with a good dose of robots thrown in for good measure. 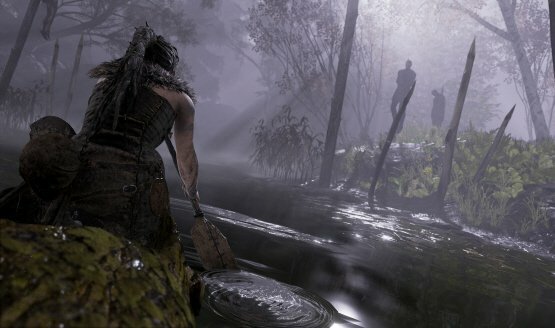 Namco Bandai recently commented about how Enslaved will receive the largest marketing campaign of any of their titles published in Europe this year. Showing their support for the title, Namco Bandai has announced a Collector’s Edition that might just ‘enslave’ your wallet this Fall.